Precision screw-on connector, operating in the range DC-18 GHz. 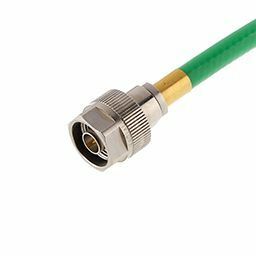 N 18 connector is a robust, high precision stainless steel version of type N, dedicated for Mil-aerospace applications and test and measurements. It is easily recognizable thanks to its Hex couoling nut and slotless outer contact.